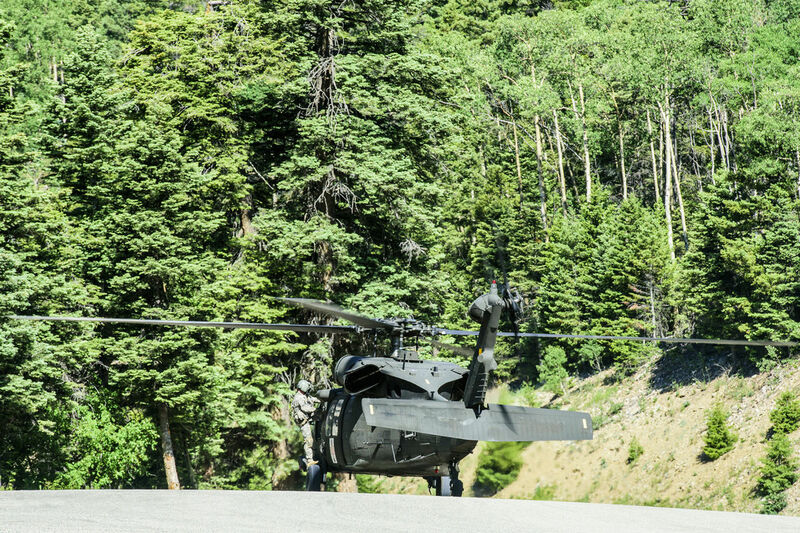 “Documents that the Labor Department failed to release to a former Area 51 security officer years ago in his toxic-exposure case have been obtained by his advocate, setting the stage for a showdown in a federal appeals court. Fred Dunham, 64, of Las Vegas stands to receive up to $250,000 from an Energy Department employees compensation program if he prevails after his advocate, Donna Hand, includes him in a case in the U.S. Court of Appeals, District of Columbia Circuit. “I have never received this file, ever,” he said as he flipped through a green folder of documents at his home Thursday. On Friday, the Labor Department’s Office of Workers’ Compensation responded to a Las Vegas Review-Journal request for comment on why the department continues to deny Dunham’s claim, given that records show he worked at a “forward area” of what was then called the Nevada Test Site. That area has since been transferred to the Defense Department. And the Energy Department changed the test site’s name in 2010 to the Nevada National Security Site. “The evidence of record confirms that he worked for EG&G Special Projects at the Nevada Test Site. However, the evidence does not establish the EG&G Special Projects was a DOE contractor at Area 51,” according to the Labor Department’s email response. “DOE confirmed that EG&G Special Projects was not a DOE contractor, and the Director’s Order explains why Mr. Dunham’s case was denied and not reopened” in January. Hand, however, is not convinced. She seeks a legal determination from the court that Dunham and other former Area 51 workers were employed by an Energy Department contractor or subcontractor when they were exposed to toxic substances on DOE property that was then part of the Nevada Test Site but was used by the Defense Department under a memorandum of understanding. Hand said recently that the Labor Department’s position is based not on material fact but on the opinion of someone who keeps an exposure archive for the National Atomic Testing Museum. Hand added that her research has turned up a computer disk that lists EG&G Special Projects among DOE subcontractors. Hand, of Tampa, Fla., submitted a Freedom of Information Act request in December for Labor Department documents that would rebut her position. “They only have a few more days, and I’ll be going into federal court to request that the Freedom of Information Act be upheld and for them to show me the documentation that contradicts the documentation that I’ve found,” she said Feb. 12 on a trip to Las Vegas. Hand found a State Industrial Insurance System claim from 1990, saying that Dunham developed chest pains, severe coughing and passed out twice after practicing for a half-mile run when he worked in a “forward area” of the Nevada Test Site for EG&G Special Projects. He suffers from chronic obstructive pulmonary disease that he blames on inhaling dioxin-laced fumes when he monitored open-pit burning of radar-evading stealth coatings and toxic scraps. Those materials were routinely hauled to Area 51 during the 1980s for disposal by aerospace contractors from Burbank, Calif. Two tractor-trailer rigs would deliver 30 to 50 drums of stealth-coating waste and scraps every week. “They did a burn every Wednesday,” Dunham said, recalling how he stood guard at the pits while 100 gallons of diesel fuel were poured on the 55-gallon drums and a fireman ignited them with a flare. He said the open-pit burning defied environmental laws. The materials should have been burned in incinerators in Southern California. But the aerospace companies would have had to declare the ingredients so that proper temperatures could be set to ensure toxic fumes wouldn’t float over Los Angeles when the incinerators were vented. “I can’t believe why my claim was denied,” Dunham said. 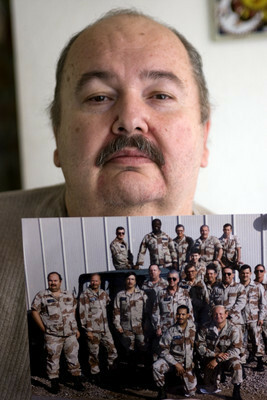 Former Area 51 worker Fred Dunham holds a 1988 photo of him (standing at left) in his Las Vegas home Wednesday, Aug. 13, 2008. Due to Dunham’s case, former workers or their survivors stand to receive about $150,000 in compensation plus money for medical costs for illness linked to their exposure to toxic or radioactive materials at the classified installation. Area 51 is located on the Groom Lake bed near the Nevada Test Site’s northeast corner 90 miles northwest of Las Vegas. It’s clear to him that he and others who worked at Area 51, at the northeast corner of the Nevada Test Site, 90 miles north of Las Vegas, should be covered by the Energy Employees Occupational Illness Compensation Program Act. 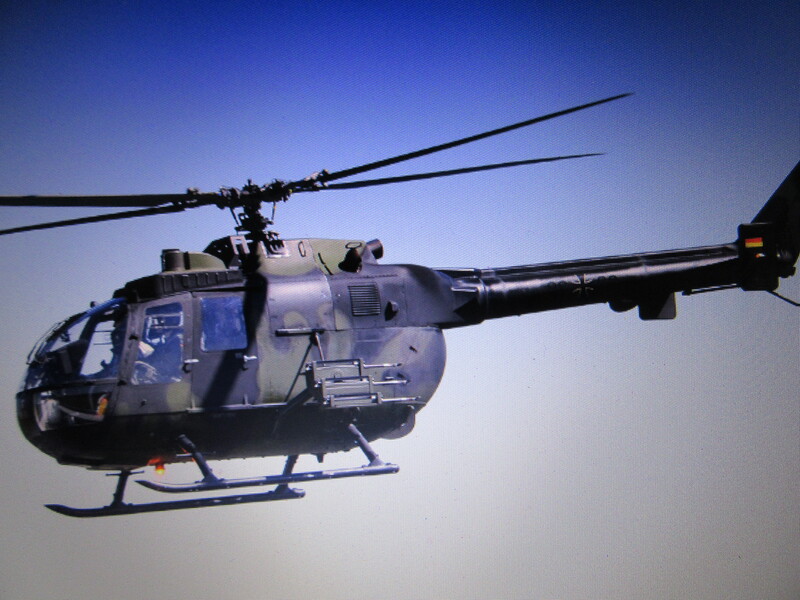 What was behind an ‘accidental crash’ of a helicopter near Area 51 in 1991? The death of a journalist in West Virginia, plus the jailing of an alleged CIA computer consultant in Washington State may be elements of a much wider scandal that could have serious implications. What started out as an investigation of an apparent case of pirated software has grown to be a project involving hundreds of journalists all over the world. 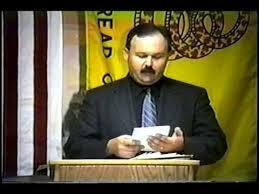 The dead journalist, Joseph Daniel ‘Danny’ Casolaro was found dead August 10th in a motel room in West Virginia. His wrists were slashed seven times on each wrist and a suicide note was found nearby. The only manuscript of his book, with accompanying notes, was missing. The book, provisionally titled ‘The Octopus’, was meant to be an explosive expose of misdeeds by the Justice Department under the Reagan administration. Time Magazine also reported that Casolaro’s research centered on gambling and attempted arms deals at the Cabazon reservation near Indio,California. Indeed, the scope of Casolaro’s investigation was so large that any one of a large number of areas of research could have been the trigger for a possible hit. While authorities declared his death a suicide, his relatives definitely stated that Casolaro’s mental state was sound, indeed upbeat, after the completion of his book. Casolaro started his work nearly two years before, investigating the bankrupting of a small computer software company called Inslaw, allegedly by the U.S. Justice Department. INSLAW, a company headed by Bill and Nancy Hamilton of Washington D.C., had developed a package known as PROMIS – short for Prosecutor’s Management Information System – to act as a case management tool for the Justice Department’s unwieldy work load. Inslaw President Bill Hamilton has claimed that Ed Meese associate Earl Brian was given control of pirated versions of the PROMIS software by Meese to sell back to different U.S. government agencies for great profit. Two courts have so far agreed with Hamilton, awarding an 8 million dollar judgment, but a higher court of appeal has quashed the award and the verdict, declaring that it was not the jurisdiction of the lower courts. As of October 9, the case has moved into the realm of the Supreme Court. Earl Brian owns United Press International (UPI) and Financial News Network (FNN). According to a Washington man, who claims to have modified the cobol-based software for the CIA and other intelligence agencies, the software was a reward for Earl Brian’s role in arranging the so-called ‘October Surprise’ gambit, the alleged conspiracy to withhold the American hostages in Iran until after the 1980 election which saw Carter removed from power. The ‘October Surprise’ scandal has taken some time to emerge. In a Paris meeting, President Bush is alleged to have met with Ali Akabar Hashemi Rafsanjani, the speaker of the Iranian Parliament, Mohammed Ali Rajai, the future President of Iran and Manucher Ghorbanifar, an Iranian arms dealer with connections to Mossad, according to Navy Captain Gunther Russbacher who claims to have flown Bush, William Casey — the CIA chief — and Donald Gregg, a CIA operative to that location. Russbacher, who made these allegations in May is now in jail on Terminal Island, convicted on the charge of impersonating a U.S. Attorney. 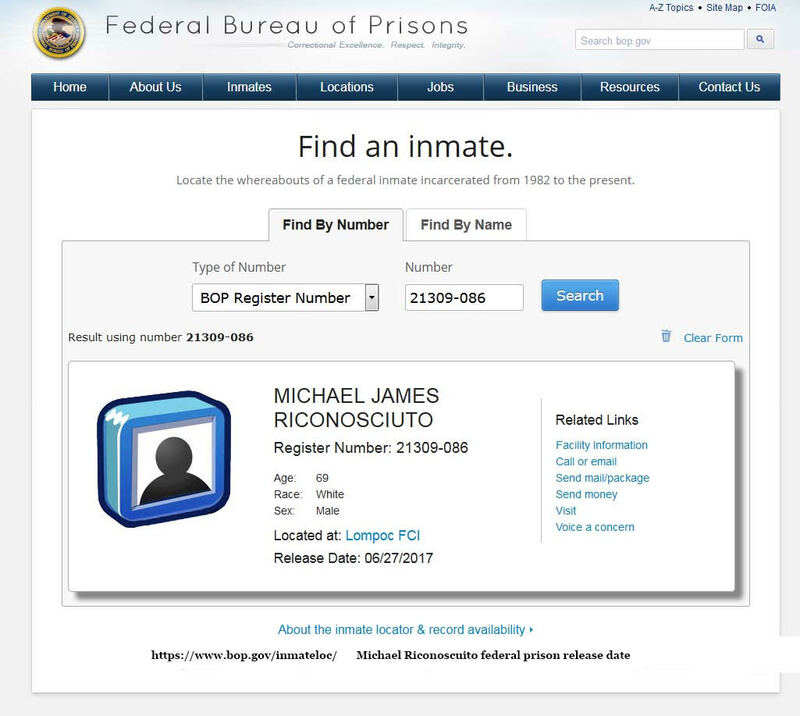 The Washington man is Michael Riconosciuto who is now waiting for a trial in a Washington jail on conspiracy to sell drugs charges, charges which Riconosciuto claims are manufactured. Indeed, the charge made against Riconosciuto were made one week after Riconosciuto authored and signed an affidavit describing his role in modifying the pirated software. The affidavit also claimed that he (Michael Riconosciuto), had been contacted by phone and threatened by Peter Videnieks – a Justice Department employee and Customs official who Riconosciuto alleged had intelligence ties – as to the possible consequences of his going public with certain information. According to Riconosciuto, Videnieks was a frequent visitor to the Cabazon Indian reservation near Palm Springs and visited with tribal manager, John P. Nichols. 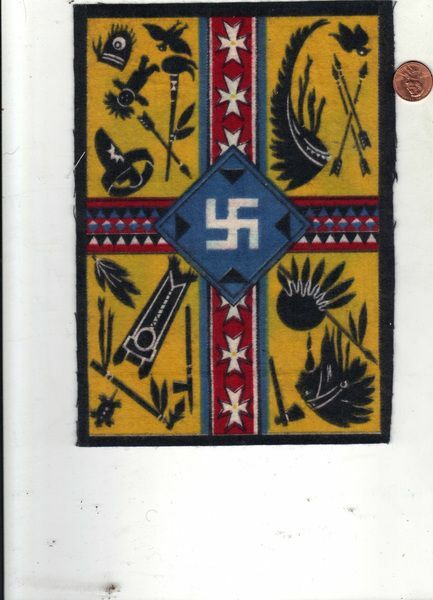 Nichols was in essence Riconosciuto’s boss in a number of enterprises conducted on reservation land and the PROMIS modification was just one of these projects. According to Riconosciuto, in an interview with T.C. conducted from jail, the PROMIS software was modified to install a backdoor access for use by American intelligence services. The software was then sold to 88 different countries as a sort of ‘Trojan horse’ package enabling us to access their intelligence systems. According to Riconosciuto these countries included Iraq and Libya. Correspondence between Nichols and other companies, if authentic, indicates that Riconosciuto’s claims of his expertise in the area of electronics and armaments appear to be true. Marshall Riconoscuito, Michael’s father, is a reputed former business partner of Richard Nixon. According to Riconosciuto, the fuzzy status of reservation land as ‘sovereign’ allowed elements of the CIA and organized crime to conduct business uniquely. Among the projects worked on during this time were joint projects with WACKENHUT, a company loaded with former CIA and NSA personnel and business ventures with the Saudi Arabian royal family and other unusual projects. A joint venture with Southern California Edison will soon be generating power for bio-mass drawn from local waste outlets. Biological warfare projects were investigated with Stormont laboratories looking into the creation of ‘pathogenic viruses’ and enhanced fuel-air explosive weapons were created and tested in league with Meridian Arms at the NEVADA TESTING RANGE which matched the explosive power of nuclear devices. These enhanced weapons gained their power from polarizing the molecules in the gas cloud by modification of the electric field, a technology developed from exploring Thomas Townsend Brown’s suppressed work, a knowledge which Riconosciuto claims he gained from working at LEAR in Reno, Nevada. Riconosciuto is said to have worked on the enhanced fuel-air explosive weapons with Gerald Bull of Space Research Corporation. 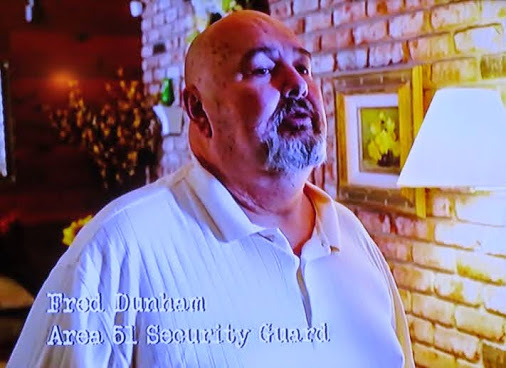 Bull, now deceased, later became an arms advisor to Saddam Hussein. It is said that HUSSEIN POSSESSES THE FAE TECHNOLOGY. In July, Anson Ng, a reporter for the Financial Times of London was shot and killed in Guatemala. 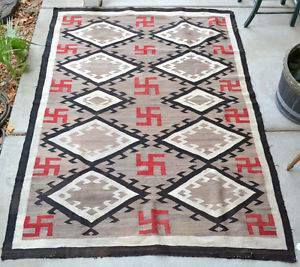 He had reportedly been trying to interview an American there named Jimmy Hughes, a one-time director of security for the Cabazon Indian Reservation secret projects. In April, a Philadelphia attorney named Dennis Eisman was found dead, killed by a single bullet in his chest. According to a former federal official who worked with Eisman, the attorney was found dead in the parking lot where he had been due to meet with a woman who had crucial evidence to share substantiating Riconosciuto’s claims. Both Eisman’s and Ng’s deaths were declared suicides by authorities. Fred Alvarez, a Cabazon tribal leader who was in vocal opposition to the developments on the reservation, was found shot to death with two friends in 1981. Their murder remains unsolved. The leader of the House, Thomas Foley, announced last month that a formal inquiry will be initiated into the Inslaw case. Foley appointed Senator Terry Sanford as co-chairman of the joint congressional panel. Prior to his election, Senator Sanford was the attorney representing Earl Brian in his 1985 takeover bid for United Press International and was instrumental in appointing Earl Brian, a medical doctor, to the board of Duke Medical School, of which Sanford is President. However, despite repeated requests from journalists to produce photographs showing Riconosciuto together with Brian, and requests to produce his passport showing his alleged trip to Iran, he has not yet done so. Also Riconosciuto failed to be able to describe Peter Videnieks to CNN’s Moneyline program, claiming a medical condition prevented him from remembering clearly. This led one former intelligence operative to speculate that we may be witnessing a very sophisticated intelligence operation being played out in public. Former F.B.I. Special Agent, Ted Gunderson, speaks for Riconosciuto’s credibility. Gunderson, who lives in Manhattan Beach, has worked with Riconosciuto for many years in his capacity as private investigator. Together, according to Gunderson, they were responsible for thwarting a terrorist operation during the Los Angeles Olympics. According to Gunderson, Riconosciuto was well known in certain circles as a genius in almost all sciences. The so-called drug operation broken up in Washington State was an electrohydrodynamic mining operation claimed Gunderson, using Townsend Brown technology. A videotape viewed by this journalist revealed metallic powders and apparent processes unrelated to drug manufacture. Indeed, a government analysis of soil samples revealed the absence of drug contamination, but a high concentration of barium. Barium is often found in high voltage related work. (A folk hero to some, Michael Riconosciuto will finally be released from prison on June 27, 2017. He was instrumental in the expose of the INSLAW Scandal that helped launch the investigation of the death of the real folk hero, the late Danny Casolaro. 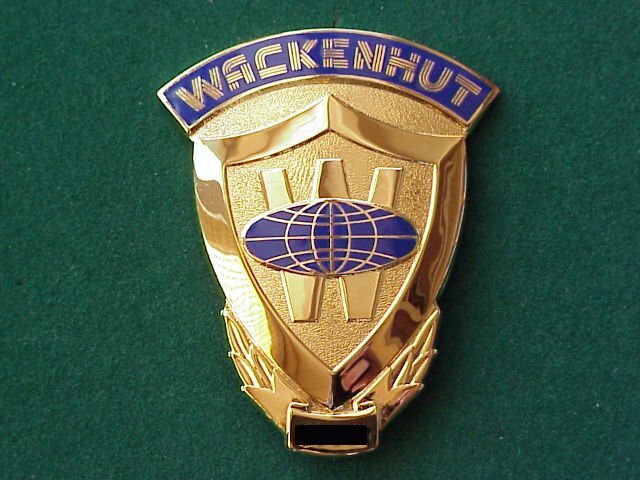 “The Wackenhut company has a very close connection to the world of BLACK BUDGET PROJECTS. 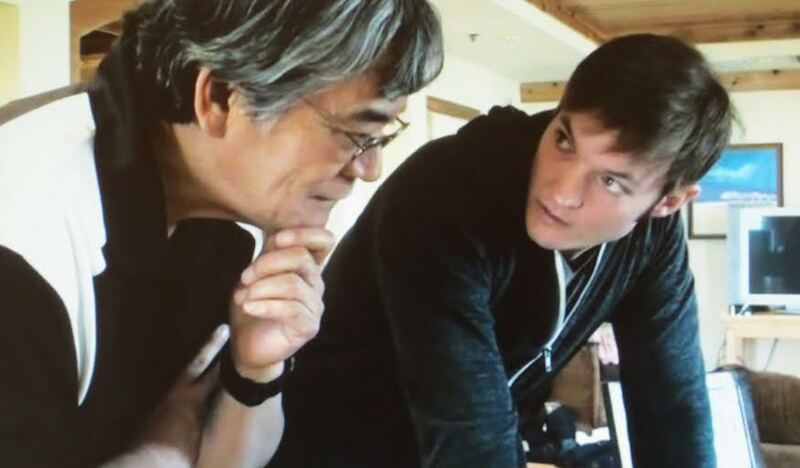 Besides being connected with the Cabazon venture mentioned in this issue it is also responsible, according to jailed computer consultant Michael Riconosciuto, for the secret projects being undertaken in Dulce, New Mexico where the Jicarilla Indian Reservation is being similarly used. After sending two of my colleagues there recently AND RECEIVING CONFIRMATION THAT THERE WAS A TOP SECRET MILITARY TYPE INSTALLATION, I decided to call the newspaper office and make an educated bluff. I identified myself as a freelance reporter from Los Angeles — and told the newspaper that I was doing a story on the Cabazon reservation biological warfare projects that had been undertaken there on behalf of the CIA. I told her that I had heard that there were similar things being done in Dulce and would like to know what was going on. The official I spoke to became frightened and said, ‘I can’t talk to you about that! It would be very unprofessional of me to talk to you about that. You’ll have to speak to the President of the tribe.’ She then hung up. I have yet to call back and ask the President of the tribe, but will report on that in the next issue. Wackenhut is also responsible for security of a lot of underground facilities in California and Nevada, including the notorious S-4 or AREA 51 in Nevada where Townsend Brown flying disk technology (written about in a T.C. recent issue) has been flying and developing for decades. 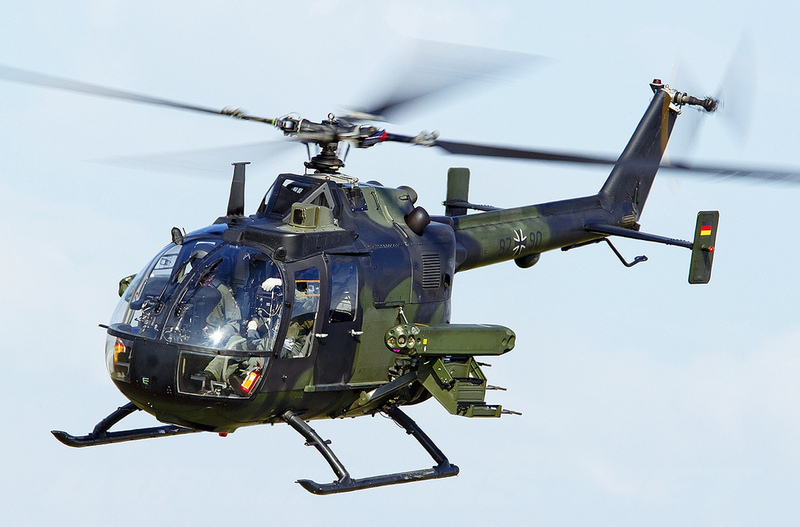 A recent helicopter crash at the area, where two pilots and three security guards from Wackenhut flying in a Messerschmit BO-105 helicopter were killed was not at all accidental claimed Riconosciuto, who said that the individuals aboard the helicopter were traveling with sensitive documents. Groups are now investigating Riconosciuto’s claims”. As you can see, there had been an undeniable presence of Wackenhut Corporation, or Wackenhut Security Systems at the Nevada Test Site in the 1990s, and their working relationship with the Department of Energy’s Special Response Teams. 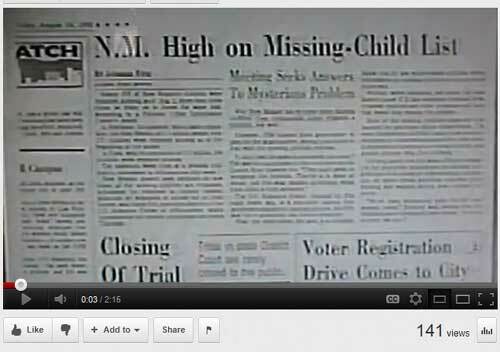 I had personally met Robert Booth Nichols (“formerly” with WACKENHUT and who initially seemed to have been accused of holding pertinent information on the death of Danny Casolaro) in June of 1992 when we organized a public seminar that attempted to expose WACKENHUT and its secret dealings with the “BLACK PROJECTS” programs, some of which is indirectly related to the military weapons testing at certain locations within the Nellis Air Force Range. The seminar, attended by about 250 people was held in Arcadia (June of 1992). The seminar was sponsored by the Civilian Intelligence Network (I was director then) and my colleague Gary Schulz and also co-sponsored by a Michael Younger who claimed to have been a liaison person of a group then known as COM 12. Ted Gunderson, former FBI Agent-in-charge of Los Angeles was one of our guests at the conference. He confirmed to us thatGeorge Pender, formerly with NSA was also in attendance. By the way, at another conference held in Anaheim a few months later, I had an opportunity to meet with the wife of Michael Riconosciuto who “happened” to attend my presentations on AREA 51. 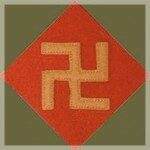 The man who attempted to sell the Army biological warfare technology through Wackenhut Corporation, Robert Booth Nichols, originally facilitated the project at the California-based research corporation under the auspices of Meridian Arms, a subsidiary of Meridian International Logistics, Inc. (MIL). The Cabazon-Wackenhut Joint Venture had spawned a partnership between Nichols and Michael Riconosciuto, who sits in prison after being convicted on drug-related charges that he contends are trumped-up for the purpose of silencing his “inside” knowledge about a variety of high-level shenanigans. (for example, some weapons-related programs at parts of Nevada Test Site). Both Nichols and Riconosciuto were interested in developing new, high-tech submachine guns, biological weapons and powerful explosive devices that, like a nuclear blast, could produce an electromagnetic pulse capable of wiping out an enemy’s communications and electronics systems. Corporate minutes of MIL, dated August 26, 1988, along with signed agreements, revealed that biological technology labeled “The Method for Induction and Activation of Cytotoxic T-Lympocytes” were handed over to the Japanese for further research.The corporate minutes noted that a grant, or “donation” was provided by MIL to a Japanese medical school for exlusive training of physicians “under contract to and under the direction of Meridian International Logistics, Inc”. The board of directors at MIL included Robert Booth Nichols, a licensed arms importer/exporter; Glenn Shockley, a CIA asset; Peter Zokosky, former owner of Armtech, at that time the sole supplier of 120 mm combustible cartridge cases to the U.S. government; and Harold Okimoto. Intelligence sources believed Okimoto to be a high-ranking member of Japan’s Yakuza crime syndicate. Nichols also held permits to sell machine guns overseas. In obtaining the required California permits to possess and sell machine guns, Nichols received a recommendation from a CIA official named Larry Curan.Nichols says he was contracted to ship 42 Cobra helicopters to overseas warehouses. Some wonder if there is a link between Nichols dealing in germ warfare and the Japanese research.The answer may lie in microbiological research conducted by Garth L.Nicolson, Ph.D., Department of Tumor Biology at the University of Texas M.D. Anderson Cancer Center.Nicolson says tens of thousands of Desert Storm veterans suspected of having Gulf War Syndrome were refused medical treatment to hide the possible origin and use of biological weapons during the Gulf War. Veterans’ family members were also denied treatment, according to the doctor. “55% OF GWS (Gulf War Syndrome) vets are suffering from a few types of mycoplasmas, such as “Mycoplasma fermentans”, Nicolson wrote. “This one strain alone accounts for 35% of the total. This disease is particularly vicious against the very young, and I have a list of approximately 600 babies less than 2 years old that have died from the illness”. 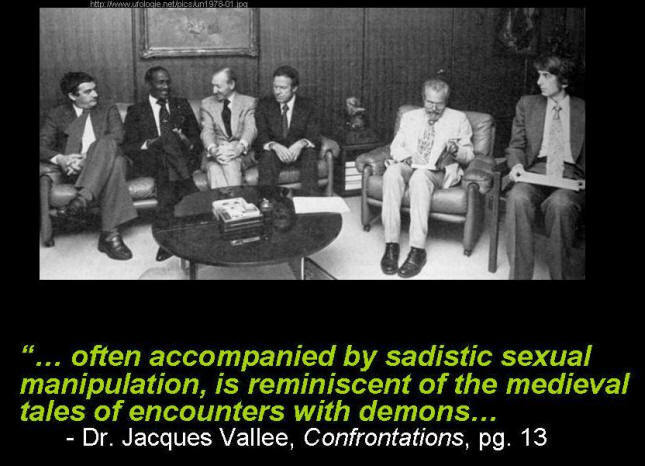 Nicolson said it was ironic that his work on the HIV-1 virus and AIDS also pointed to the same agenda -biological warfare.” The mycoplasma we found in GWS, we strongly believe, was ‘engineered’ and did not evolve naturally”, he noted.”6000 soldiers have died since the Gulf War…the number of U.S. dead is being hidden from the American public.”Staff members high up in the VA Central Command in Washington D.C. secretly sent me about a two-foot high stack of records documenting the deaths”, Nicolson added.The doctor also treated a dying military intelligence officer who confirmed the origin and sale of illegal biological weapons to Iraq. He said those weapons were subsequently used against U.S. soldiers in Desert Storm.Nicolson urged researchers to investigate Tanox Biosystems, Inc. in Houston, Texas. “If someone can nail a few of these operations, then perhaps the U.S. government will give up on illegal, immoral biological weapons programs”, he said. Apparently Nichols inadvertently “nailed” one operation. A secret desire to write about his exploits with the CIA had led him to contact Jack Valenti, president of the Motion Picture Association of America, through his corporate partner Gene Giaquinto. The three met at the Beverly Hills Hotel where Nichols attempted to sell Valenti a manuscript disclosing top secret CIA technology. Nichols later said Valenti refused the manuscript because it contained”classified national security information”. Valenti once served asassistant to President Lyndon B. Johnson.Unknown to the CIA, Nichols had copyrighted the material at the Library of Congress under the pseudonym Robert B. LeDevoiller. The 20-page manuscript, entitled ACCEPTABLE CASUALTY. 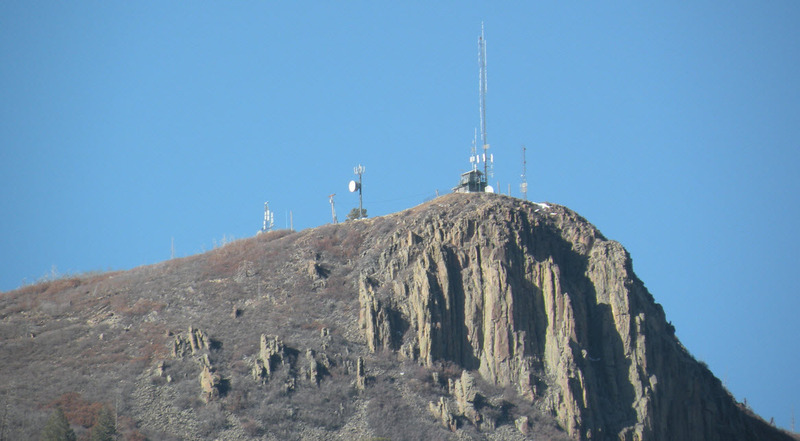 The secret group COM-12 in 1992…..fact? fiction? or, disinformation? The secret group COM-12 in 1992….fact? fiction? 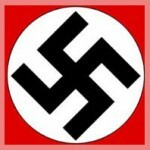 or disinformation? Michael Younger, a.k.a. “Mr. Mike” who, in the early 90s, created controversy among some conspiracy circles in Southern California by claiming to be a representative of a group known then as “COM-12“, died on December 31, 2001 of a massive heart failure in Anaheim, California. He was often described during those years as a “mysterious figure” who always wore a black raincoat and was often present at a number of conspiracy seminars. He claimed then to be a liaison officer for “COM-12“, an alleged group of intelligence personnel opposed to the policies and direction of an alleged “Aquarius” faction within the intelligence community of that time. 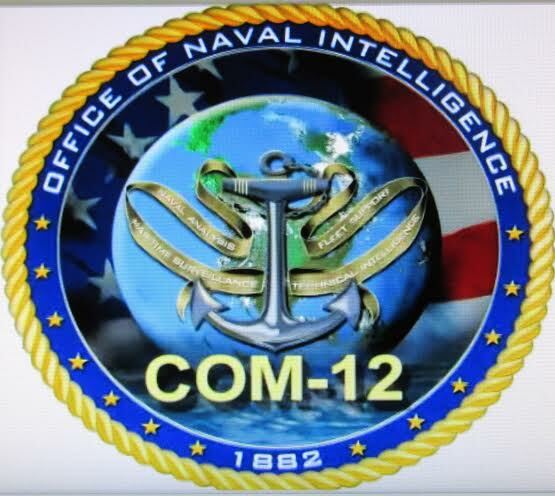 “COM-12”, he insinuated, was in direct confrontation with the so-called “MJ”, “MAJI”, “MAJIC” or the “MAJESTIC” operations factions. After around 1994, Younger, who had also claimed to be connected with part of Navy SEAL Team VI, reportedly contracted an illness and disappeared from the public. His whereabouts since then became unknown to most researchers until the time of his death. According to an attendee at a private funeral which was held recently, Younger’s ashes were scattered at sea in a ceremony off the coast of Long Beach. Younger has three children. 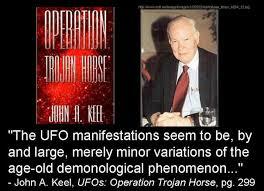 Younger was also the source of the so-called “Bluefire Memorandum”, purportedly an official looking memorandum allegedly issued to the security personnel of Nellis Range concerning a public event which was held in Rachel, Nevada, near Area 51 in 1991. Recently, however, his estranged wife totally denied his involvement in such activitities in the past and disclaimed that he had ever been with SEAL Team VI nor with a group such as “COM-12”. She confirmed that to the best of her knowledge, he was just a housepainter who must have had psychological problems and probably was suffering from “double identity” syndrome. Some others, however, hold the belief that Michael Younger was a collaborator for a specific disinformation operation. 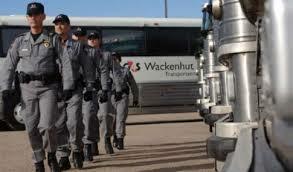 A security firm known as Wackenhut subsequently surfaced as the organization primarily accused of involvement with a number of related scandals. It was Michael Younger who organized a controversial seminar held in Arcadia, California in 1993, to expose Wackenhut’s involvement in the alleged biochemical facility located at that time in the Cabazon Indian reservation near Palm Springs. The seminar, attended by more than 150 people, attracted such individuals as Robert Booth Nichols, who a Meridian Arms dealer and former Wackenhut employee accused of assassinating Danny Casolaro. Also present at the seminar were Ted Gunderson (former FBI Special Agent-in-charge of Los Angeles), a few NSA officials (including a gentleman with the last name of Pender) and Harold Okimoto, an associate of Nichols and alleged Japanese yakuza. 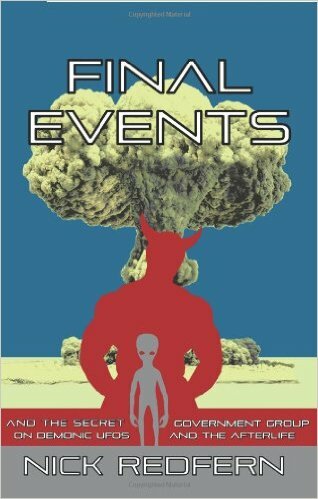 So what happened in 1966 in Dulce, New Mexico? A claim has been made that a large and suspicious number of earth tremors and quakes were experienced in high density around Dulce in 1966. And the report seems to suggest suspicious and secret Government work as being the likely cause. This researcher, Firefoot, apparently studied the earthquake epicenters in and around Dulce from January 23, 1966 to December 10, 1967. Apparently unusual “earthquakes” were occuring in these areas nearly a year before Project Gasbuggy took place on December 10, 1967!! 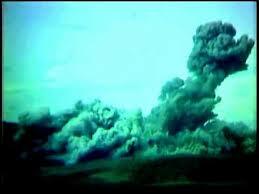 Then, almost a year later, on December 10, 1967 the U.S. exploded a nuclear device a mile and a half underground, about 22 miles southwest of Dulce, New Mexico…..it was called Project Gasbuggy and was explained by the U.S. Government as an experiment that would help ease the flow of natural gas trapped under hard, tuffa rocks in the entire region……it was an explosion of 30 megaton bomb, which caused a 5.10 magnitude earthquake in the area, extending all the way to Farmington. This anonymous researcher, Firefoot, covered all known earthquake information from a point that extends 50km in every direction around the coordinates 37.052N, 106.907W. He states that for some reason, 95% of the earthquakes occured between 1966 and 1967. 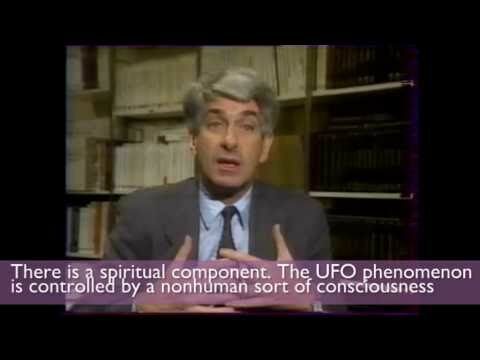 He states that it is possible that there was underground construction occuring. He then made the map using the USGS/NEIC data. 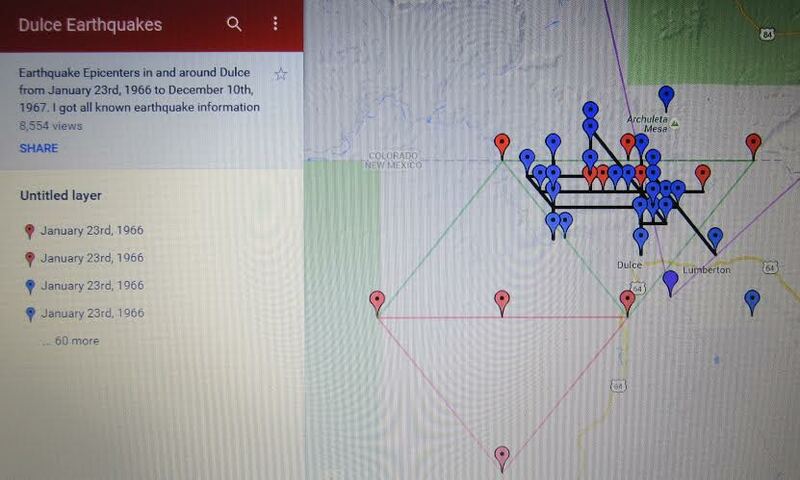 As you go to his above link, he points out that Red “tacks” show coordinates where MULTIPLE earthquakes occured. Blue “tacks” show places where there was one earthquake only. He made black grid lines to connect lines of more than TWO earthquakes which happened to happen along a meridian. He says that the chances of there being so many lines of more than two earthquakes is statistically nil!! “Very strange to say the least!” he says. He believes explosives and RAND Corp digging machines were used. There two types of Manji — one a mirror image of the other. 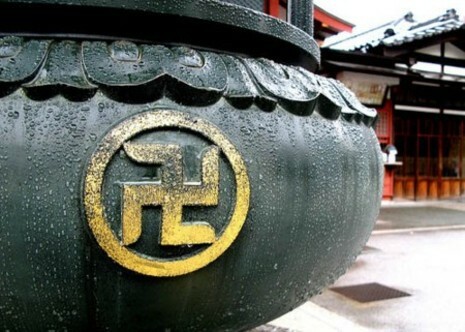 The ‘clockwise’ Manji — with the ‘trailing lines’ running from the ends of the central cross to the right (called “Ura“) — represents intellect and strength. 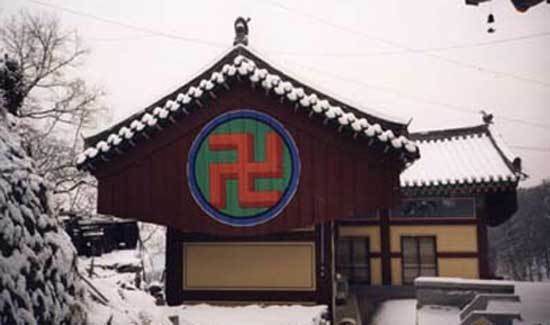 The Nazis ruined that symbol forever. 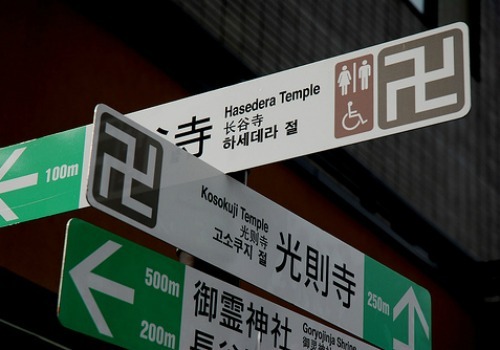 The bottom line to all this is that this kind of symbolism and its universal concepts seems to have existed throughout in different cultures.